A luxury salt selection from Sal d'Es Trenc in Mallorca, perfect for any keen cook or as a gift. 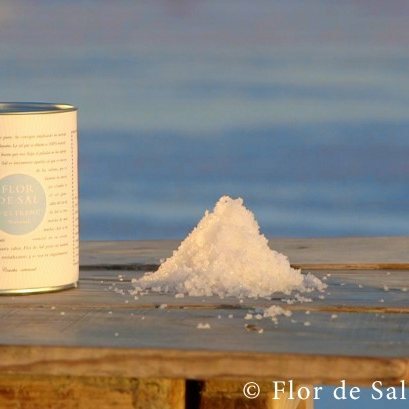 Flor de sal is different from common sea salt as it has a unique texture, flavour and properties. 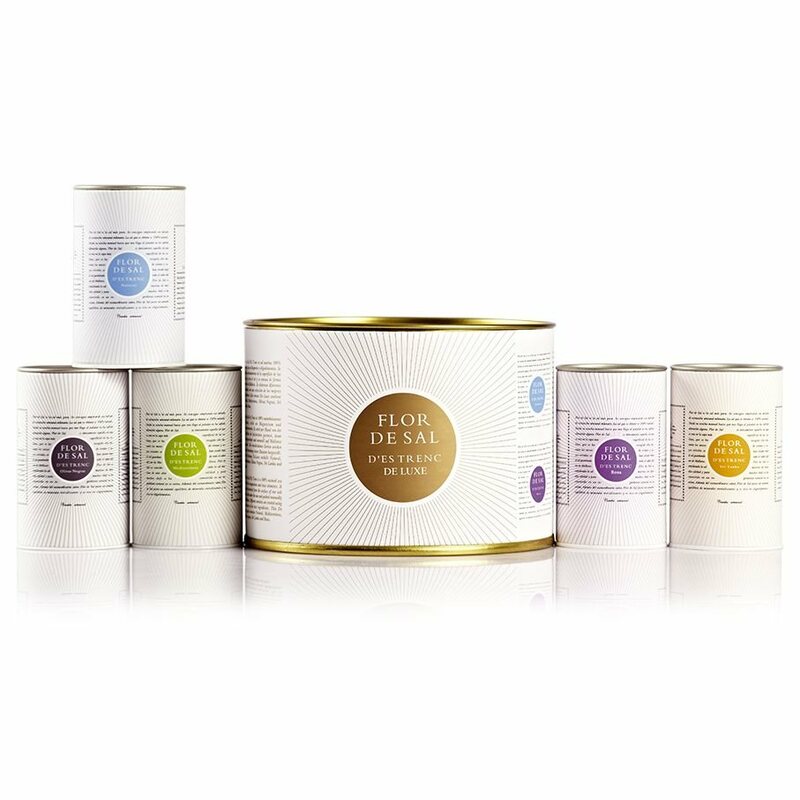 It contains less sodium chloride and a higher levels of magnesium than normal salt, allowing it to enhance the flavour of food and give that special touch to any dish. Beautifully presented in a box with a booklet containing information and advice on how to use the salts effectively with food. Each pack contains 50g of salt. This salt originated from the Belearic Islands.